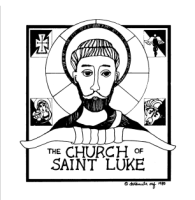 The Church of St. Luke is much more than a place to worship. We are a community of disciples and offer opportunities for our families to know Jesus Christ by…Learning the Way…Living the Way…Sharing the Way. The key concepts of our faith formation process are developed through Scripture, tradition and community. We welcome you to enroll your children and teens in one of our faith formation programs by clicking the box below to download and fill the registration form, or stop by the parish office between Monday and Friday from 9am to 5pm. More details and instructions are provided for you. We ask that if you choose to fill out the form electronically to please email it to the appropriate Faith Formation Ministry Coordinator. We look forward to walking this faith journey with you and your family! If you have any questions regarding Faith Formation Registration please contact the Parish Office by phone at (619) 442-1697 or email HERE.